33. Kharkiv Chabad operates a post-secondary school program for young women, enabling them to enroll in the local university/institute program of their choice while concurrently studying Jewish subjects in late afternoons and evenings at the synagogue. Known as Akademia, the program currently (2010-2011) enrolls ten young women between the ages of 18 and 30 who are pursuing degrees in such fields as medicine, pharmacy, psychology, business management, education, and fashion design. According to Pearl Kolnak, director of Akademia, participants also study synagogue-based courses in Hebrew, Judaism, Jewish law, Torah, hasidut, and Jewish history. Additionally, said Ms. Kolnak, the women attend three intensive seminars each academic year at Beit Chana in Dnipropetrovsk where they listen to special lectures, participate in holiday observances, and engage in other Jewish activities. Pearl Kolnak, right, directs the Akademia program for young women in Kharkiv. Photo: the writer. The major attraction of the Akademia program to young women, acknowledged Ms. Kolnak, is that tuition costs are fully paid – 80 percent by Beit Chana in Dnipropetrovsk and 20 percent by the Kharkiv Chabad community. Additionally, participants receive small stipends for the duration of their studies. Most young women in the program are from poor families, Ms. Kolnak stated, and probably would be unable to attend university or another post-secondary school program without external financial assistance. Participants serve as assistants in the Chabad preschool, school, and machon during the school year and also work as counselors in the local Chabad summer camp. Of the 10 current Akademia students, said Ms. Kolnak, eight are from Kharkiv and commute between their homes, the synagogue, and their places of study. Some of these young women are graduates of School #170, but others attended other schools. The two remaining students are from Chernigov; along with a Chernigov girl in the machon, they live in an apartment that Chabad has rented for them. 34. Lycée Sha’alavim is a struggling Jewish day school started in 1994 and then abandoned in 2009 by the Union of Orthodox Jewish Congregations of America (OU; New York). Throughout the writer’s visit in Ukraine, rumors cir-culated that the school would soon close; however, Yevgeny Persky, its prin-cipal, assured the writer that it would remain open for the foreseeable future. From a peak enrollment of 220 in 2000-2001, its current census is 96 youngsters in grades 1-10, and 12 children in a kindergarten. Recounting history of recent financial support of the lycée (a private school that receives some state funding, but less than general public schools), Mr. Persky said that the Orthodox Union told him initially that financial support would be reduced incrementally over a three year period, beginning with the 2009-2010 school year and ending entirely at the conclusion of the 2011-2012 school year. How-ever, the OU subsequently informed him in Sep-tember 2010 that funding would be terminated immediately. Yevgeny Persky, principal of Lycée Sha’alavim in Kharkiv, is eager to find a reliable funding base for the Lycée after its original American sponsor terminated support. Upon hearing of the OU decision, Mr. Persky began contacting various potential sources of support, both in Ukraine and abroad. A sponsoring organization is necessary, said Mr. Persky, if only because Ukrainian law requires that all private schools be responsible to a charitable organization; it is not permissible to be truly independent. He has used his own resources and borrowed money from friends to keep the school going. The Lycée received a small grant and then a larger contribution from World Jewish Relief, the British organization. Parents who could afford to pay tuition have been asked to do so. The pre-school charges fees, as do most pre-schools in Ukraine. Many teachers agreed to work without pay. The Joint Distribution Committee has made a grant, and Mr. Persky has identified other sources of support that may enable the school to continue operations for the near future. However, in addition to conventional operating funds, the school building requires substantial renovation. 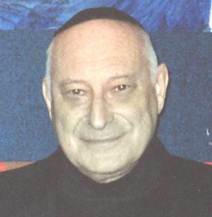 As Orthodox Union support began to look shaky in 2010, Mr. Persky implemented less restrictive enrollment qualifications, changing require-ments from halachic Jewish background (matrilineal descent) imposed by the OU to Jewish identity according to the Israel Law of Return (one Jewish grandparent), thus greatly expanding the potential enrollment pool. The loss of OU affiliation also entailed the loss of licensed OU Israeli teachers of Hebrew and other Jewish subjects who were paid by the Israeli Ministry of Education. Mr. Persky has turned to Midreshet Yerushalayim, the Russian-language division of the Schechter Institute in Jerusalem, for methodological assistance in preparing local teachers to assume roles as Jewish studies teachers. Most of the local teachers of Jewish studies are graduates of the Lycée, but lack both university-level education in Jewish studies and professional training in the teaching of Hebrew or other Jewish subjects. Midreshet Yerushalayim also is providing some financial assistance for Lycée pupils to attend the movement’s summer camp, Ramah Yachad, in western Ukraine. However, Midreshet Yerushalayim is unable to provide the substantive operating subsidy that the school requires to ensure financial stability. Mr. Persky is hopeful that the transformation of the Lycée from an Orthodox school to a more liberal Masorti school would enhance its enrollment prospects, believing that a more inclusive environment would appeal to more families. However, the long-term financial outlook for the school remains uncertain; equally, the school must overcome local rumors of its imminent closure. 35. International Solomon University, a proprietary institution, was founded in Kyiv in 1992. An “East Ukrainian branch” [in Russian, Восточно-украинский филиал] was established in Kharkiv in 1998. Located in a wing of a large prestigious Kharkiv high school (Ukr., Харківський технологічний ліцей № 9), the Eastern branch of ISU currently enrolls 325 students; the reality of demographic decline in Ukraine, said its new Director, Julia Ukis, bodes ill for its growth. Dr. Ukis stated that the Eastern branch is organized into three faculties or schools: economics, computer science, and Jewish studies. Clearly reticent to disclose details about ISU, Dr. Ukis would not explain the focus of the Jewish studies program. She said only that some of its graduates continued their studies in advanced degree programs elsewhere, others teach (not necessarily in Jewish schools), some work for the Joint Distribution Committee, and “many” emigrate. 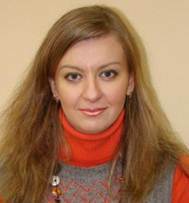 Dr. Julia Ukis, an economist, is Director of the Eastern Ukraine branch of International Solomon University. She replaced the founding director, Dr. Boris Elikin, who died in January 2011. Compared to many other local post-secondary institutions, said Dr. Ukis, tuition at ISU Kharkiv is relatively inexpensive. Additionally, the government pays tuition for two groups of students, orphans and visually impaired, to attend ISU. Blind students, she continued, all attended a specialized high school where they learned to take notes on special computers; almost all visually impaired and blind students, she said, are older than other students because their disability necessitated a longer time for completion of the high school curriculum. In response to a question, Dr. Ukis said that she did not know the percentage of Jewish students among the entire ISU Kharkiv enrollment. However, she continued, it is likely that they constitute a disproportionately larger share of the enrollment than the proportion of Jews among all citizens of Kharkiv. 36. The Hillel student group in Kharkiv has long been one of the most vigorous in the post-Soviet states, perhaps reflecting the large number of students in the city. 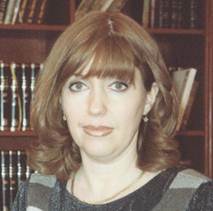 According to Julia Pototskaya, the longtime director of Kharkiv Hillel, and her assistant, Dmitry Golovinov, between 400 and 500 students currently are activists in the organization. Hillel makes extensive use of Russian-language social networking computer sites, especially Vkontakte, to recruit students and then keep in touch with them. Hillel also tries to address the needs and interests of individual students, referring them to other organizations if that seems appropriate; for example, said Mr. Golovinov, Hillel refers students interested in learning Hebrew to the Jewish Agency for Israel. For information about Beit Chana, see pages 20-22. The World Jewish Relief grants have been designated for integration of special needs youngsters into the Sha’alavim program. See a WJR video presentation about Sha’alavim on YouTube: http://www.youtube.com/watch?v=-J9k6h85e_0. The second grant was received just before Chanukah, leading Mr. Persky to refer to it as a modern-day Chanukah miracle (чудо). The Schechter Institute of Jewish Studies is associated with the Conservative/Masorti movement. For information about International Solomon University in Kyiv, see pages 96-97.